Heather and Michelle start off by talking about VACANT and its request for guest art. 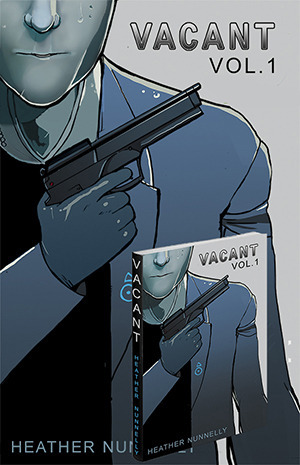 Also, the next VACANT update will be loaded onto the web in a few days. Since the podcast is now bi-monthly, the update will be discussed in two weeks. Then they briefly talk about Breaking Bad and how it’s ruining their lives. And then they talk about their top 10 favorite fictional characters. A lot of Heather’s picks are also on her top 10 hottest characters list. This idea was brought to you by Doug Walker from thatguywiththeglasses.com. Finally, if you have any questions or topics that you’d like to hear on a future VACANT Bits podcast, e-mail Heather!